This was the point of the lime marmalade…but it was TOO bitter. Even to feature, not less star in the dish. Thankfully, I had some great, store-bought orange marmalade which took its rightful place at the table. 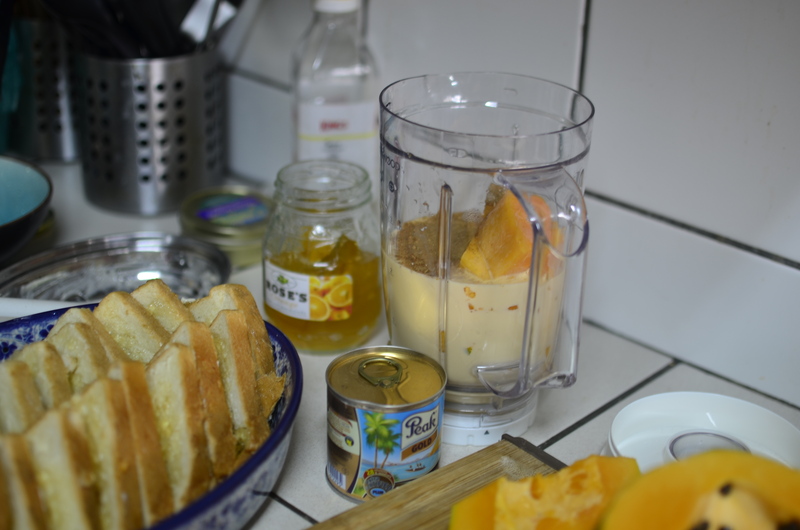 This is another recipe from Zina. This time though, she cooked. Baked it. For us. 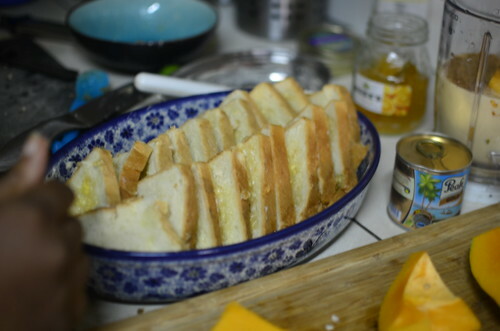 Butter and spread marmalade on the slices of bread. Stack them up and cut on the diagonal, forming 2 triangles on each slice. 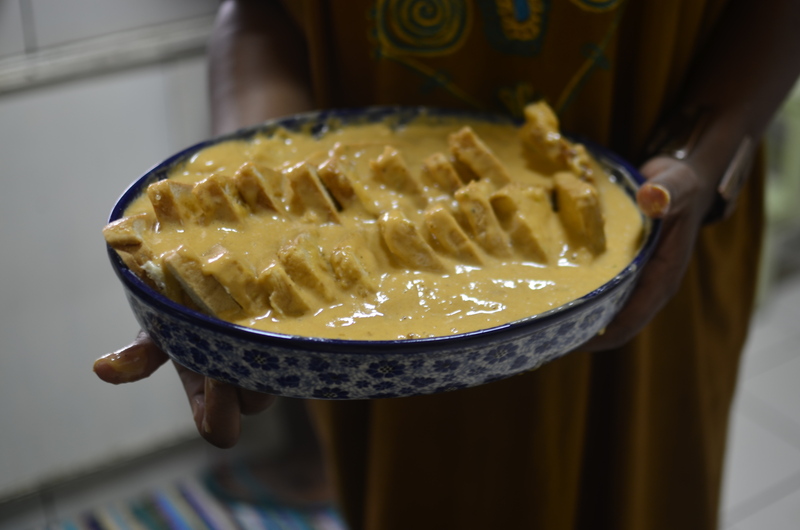 Arrange the slices in overlapping rows in the buttered dish. 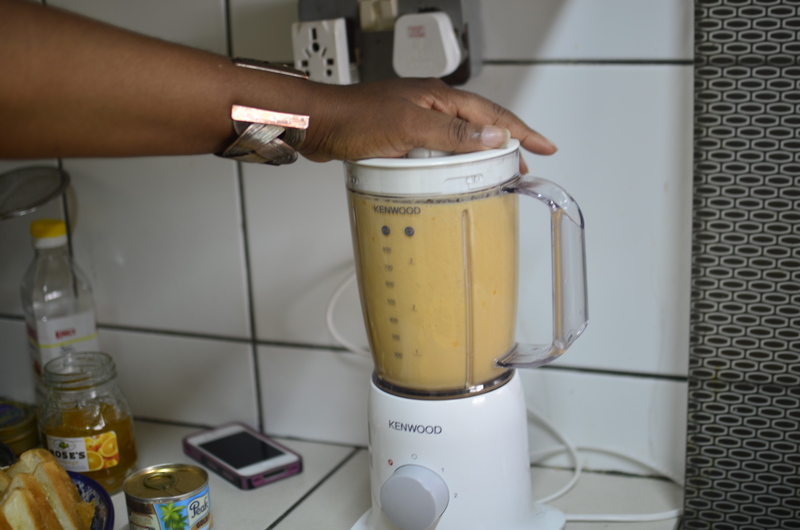 In a blender, combine the pawpaw, milk, sugar, eggs (whole and yolk), sugar, spice. Pour over the bread. Your next steps will be determined by the kind of bread pudding you like. 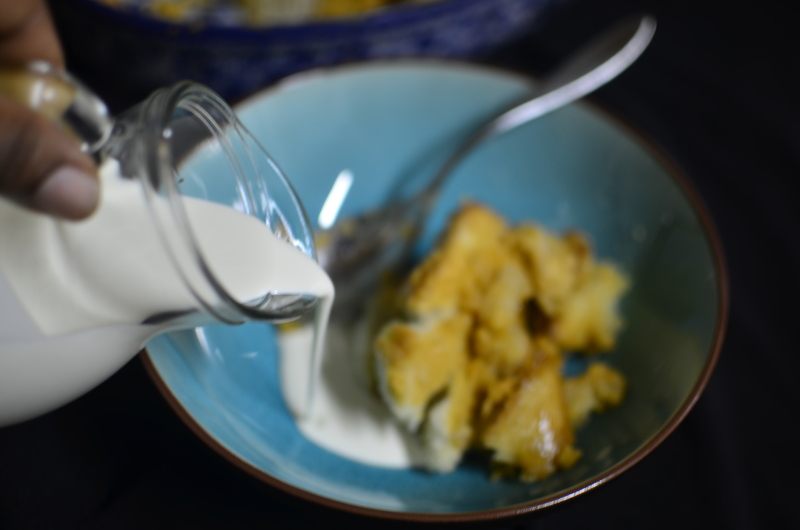 If you want a creamy, soft pudding, then let your bread soak in the custard for 15 – 20 minutes. 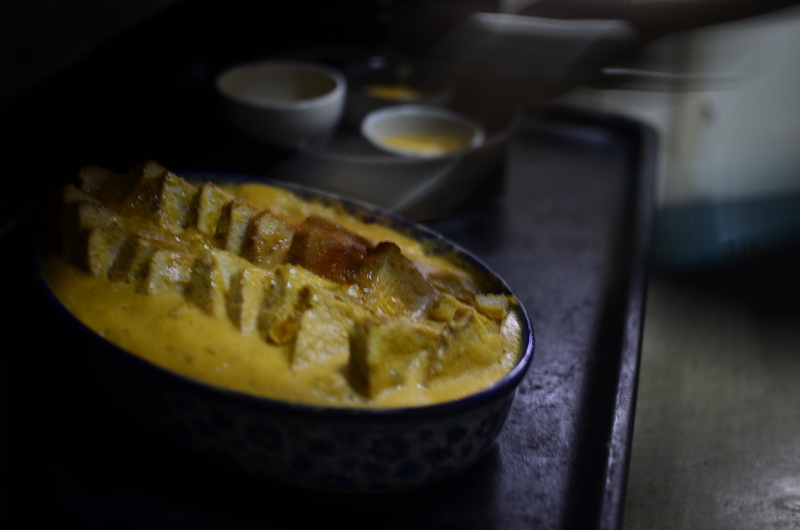 If you want to enjoy a spectrum of bread textures that begins at the base of the dish with unctuous baked bread and finishes with toasty, crisp peaks with barely a whisper of custard, then slide it into the oven right after assembling. 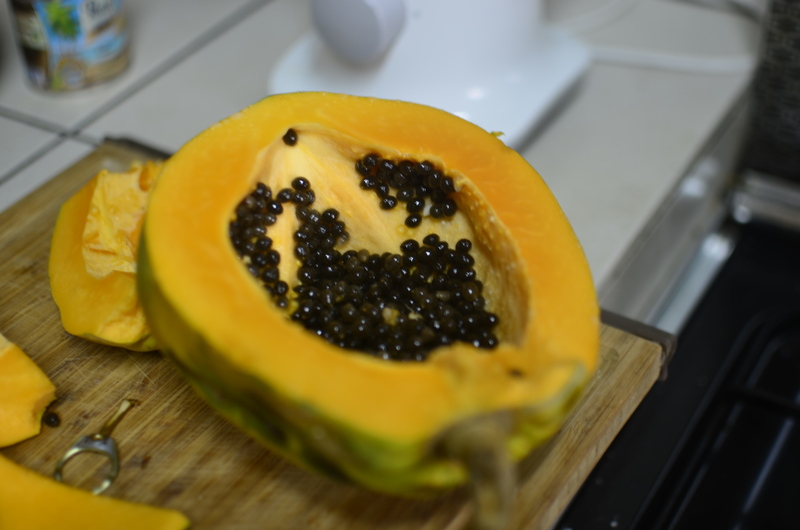 Cook for 35 – 45 minutes in the centre of the oven until golden brown. 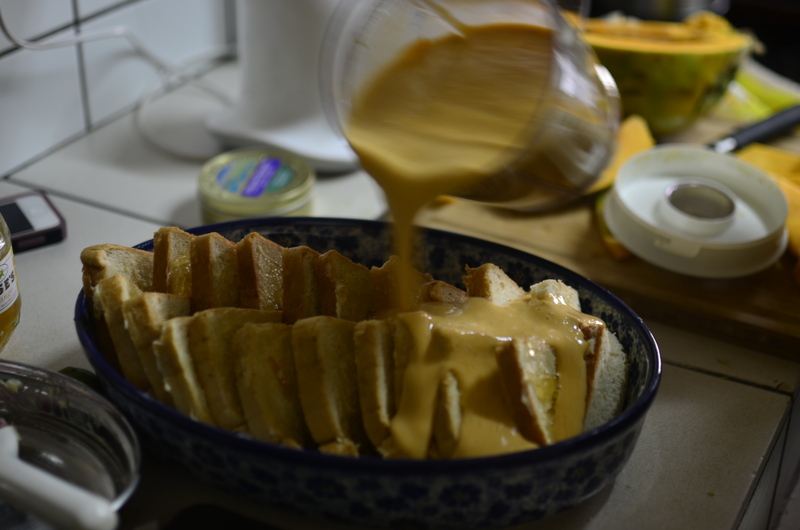 About 10 minutes to the end of cooking time, glaze the top of the pudding with warmed marmalade. 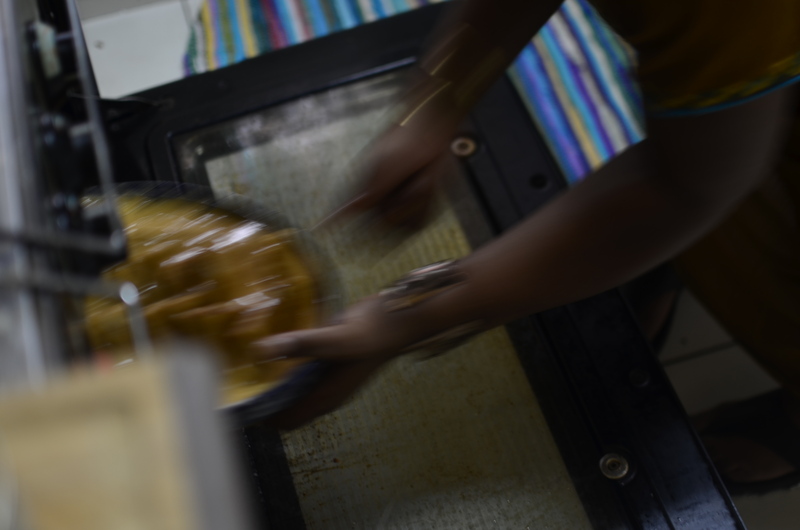 Let bake through. Once golden, remove from the oven and allow to stand for 10 minutes before serving. The custard will firm up a bit. grate some lime zest, pull out the cream and set up shop to dine. To feast. I loved it. Love it. Will be making it. I love how beautiful it looked, and how easy it was to achieve the ‘look’. 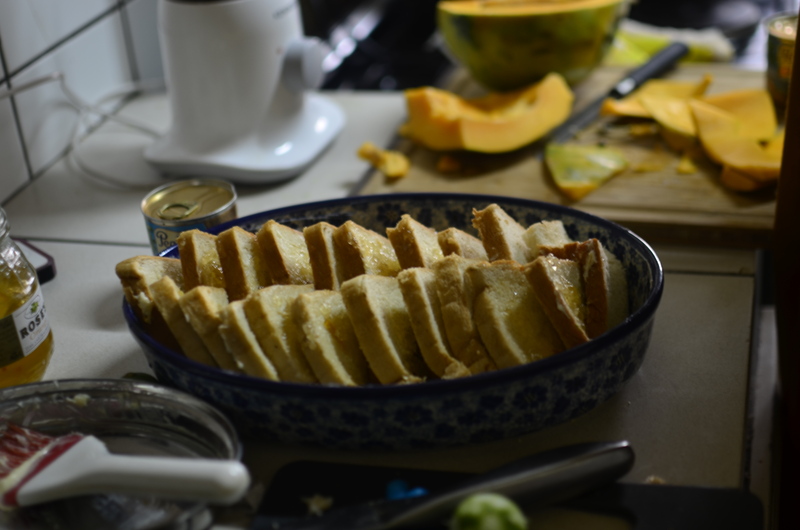 If I hadn’t seen Zina arrange the bread triangles, I might have been wary of attempting it on my own….so that was one. 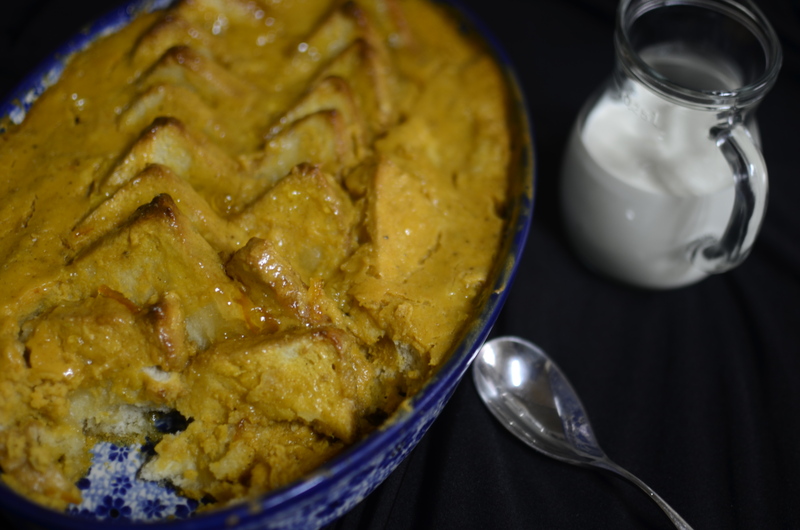 The custard was amazing – creamy, blossomy with almost pumpkin qualities. 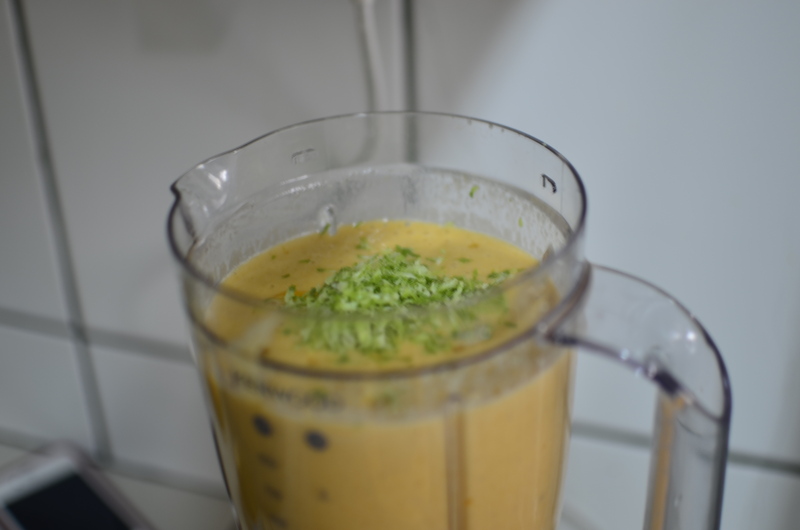 The spice blend created very warm, autumn-like flavours. Which I thoroughly enjoyed warm and fresh from the oven. For dessert. 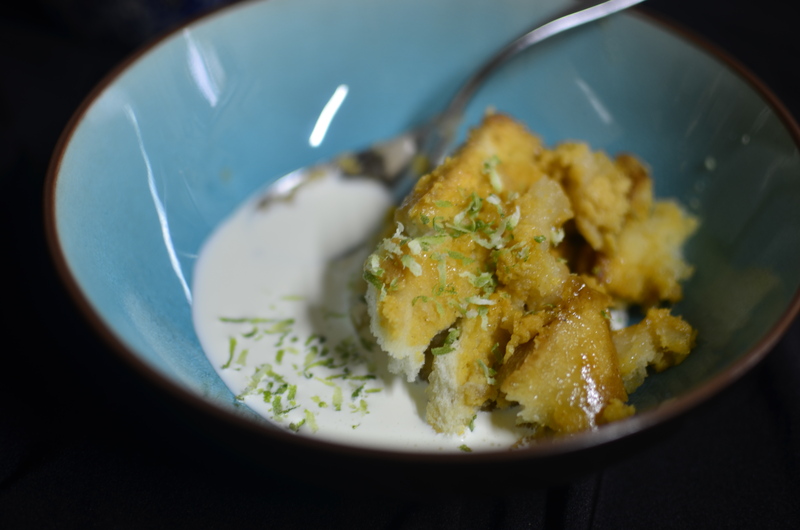 With a healthy portion of cream, not whipped and garnished with microplaned lime zest. And of course, it kicked off my morning. Perfect as ‘Breakfast of Champions’. Thank you, Zina. I’ll definitely make this. This time with proper lime marmalade, homemade or bought. You didn’t think I’d given up on this lime marmalade thing, did you? No way…not that easy.